Whether you have 1,5, or 100 kids you know its a lot of work to raise them right. I am always looking for ways which I can get my kids to do something but reward them afterwards for doing so. Kenson Parenting, is a great site to help me find something for each kids needs. Let's face it all kids are different and not everything works on them, you have personalities, age, and many other things to consider when assigning chores, homework and activities. One of the charts which I found great for my 2 year old was the I Can Do It! reward chart. The chart as things like, getting dressed, water the plants, no whining, clean your room, go to and stay in bed, sharing and many more. I found this chart was great for her, not because she is 2 but because since she is number 5 she is much more advanced for her age because she has her brothers and sisters to watch, so these things are something she could accomplished and we can work on together. What is great about the I Can Do It! chart is that you can set it for your child's age. If I had, had this with my first born I would had used other options of activities which would fit his actions. The idea of the chart is to help both parent and child. It helps the parent by letting them set goals and helping the child reach the goals. 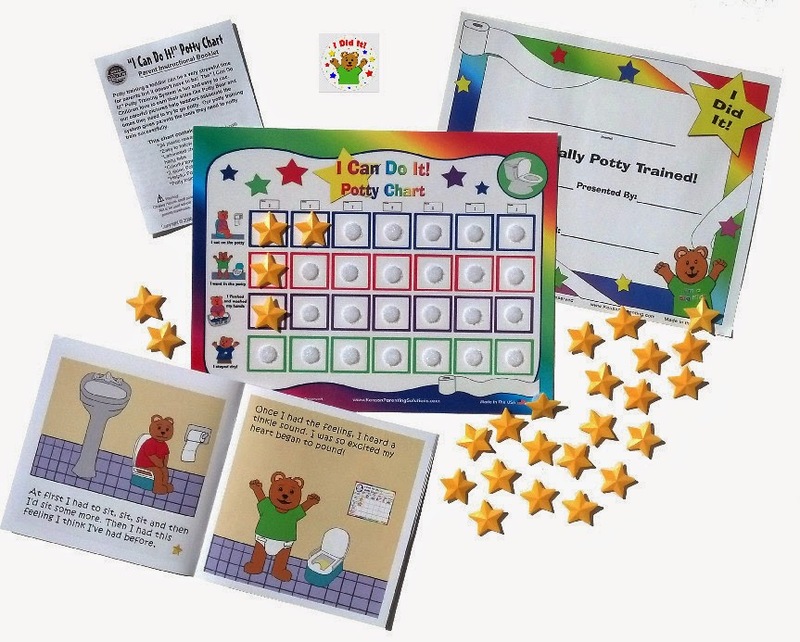 It helps the child feel like they are doing their part and they can get a small reward once they receive 7 stars in a activity or a full chart or however you wish to reward them. The idea is to keep a regular routine which is simple to follow and gets the job done without the yelling. I do different rewards for the week, if they have full activity complete with the 7 stars I will get them a ice cream cone, if they have a full chart a small toy, or try and go to a park they would like to go to. I love having the chart because my kids seem more happy to do things because they see they are doing good. They have a positive image placed in their minds which helps them to do better each day. I noticed with the younger one the change of attitude she loved to yell and whine but since the chart and seeing her brothers and sister getting rewards she has made some major changes. You can see the this and other great products from Kenson Parenting by clicking here. Kenson Parenting is also great for the home school children and even great for teachers.